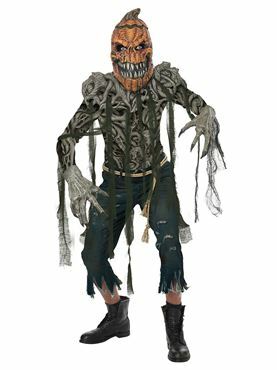 It's the worst pumpkin out of the patch ! 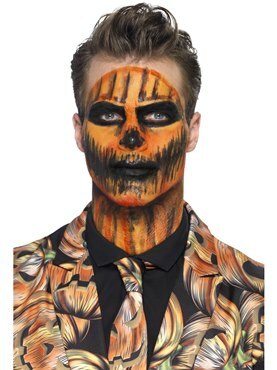 Our pumpkin creature costume includes a shirt with vine art print with matching sculptured vine shoulder piece. 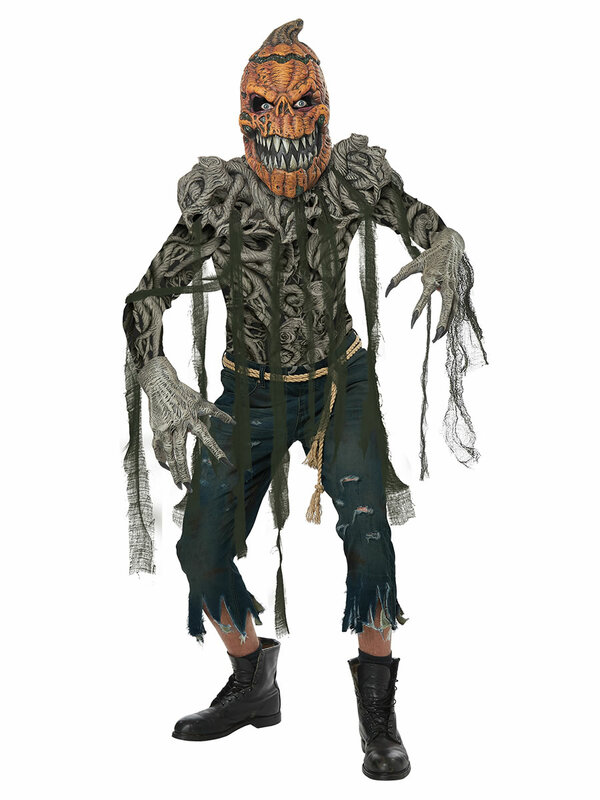 The full head pumpkin mask has an open sharp toothed grin and dark piercing eyes. 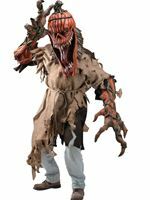 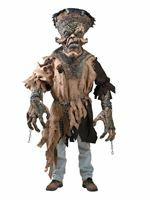 To accessorise this costume are the monster hands with long claws, a rope belt and seven canvas style gauze strips that can be attached to the shoulder piece. 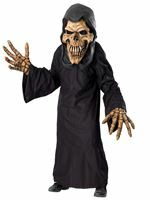 Medium 38'' - 40'' 34'' - 36'' 28"
Large 40'' - 42'' 36'' - 38'' 28"
Extra Large 42'' - 44'' 38'' - 40'' 29"